Would you like to “change your brain” to make yourself happier, more creative, more compassionate? Renowned psychology researcher Richard Davidson says scientific evidence suggests you can do just that by cultivating positive habits of mind. Davidson presents “Well-being is a Skill” Thursday, Oct. 29 at 11:10 a.m. in the Lawrence Memorial Chapel in the second installment of Lawrence University’s Liberal Arts in the Century of the Brain lecture series. He also will conduct a question-and-answer session at 2 p.m. in the Warch Campus Center cinema. Both events are free and open to the public. Research conducted by Davidson show a range of characteristics, including a person’s happiness, resilience, compassion and emotional balance, can all be shaped, modified and improved within one’s brain. Davidson will share how using mental training techniques to cultivate well-being can positively impact an individual’s happiness, creativity and productivity in the work place and at home. The William James and Vilas Research Professor of Psychology and Psychiatry at UW-Madison, Davidson is one of the country’s leading experts in the field of neuroplasticity — the capacity of the brain to develop and change throughout life — as well as methods to promote human betterment, including meditation and related contemplative practices. A member of the UW faculty since 1984, Davidson is the director of the Waisman Laboratory for Brain Imaging and Behavior and the founder of the Center for Investigating Healthy Minds at the UW’s Waisman Center. In 2006, Time magazine named Davidson one of the “100 most influential people in the world” and the following year Madison Magazine named him its Person of the Year. The American Psychological Association recognized him with its highest honor — the Distinguished Scientific Contribution Award — in 2000. His scholarship has resulted in more than 320 articles, numerous book chapters and reviews. He is the author of the 2012 book “The Emotional Life of Your Brain” and has edited 14 other books. The Liberal Arts in the Century of the Brain series will incorporate the interdisciplinary areas of neuroscience and cognitive science to create connections with other disciplines at Lawrence by examining questions ranging from whether the brain processes literary fiction differently than formula fiction to how perception, emotion and cognitive processing impact creative expression. • Darya Zabelina, post-doctoral fellow at Northwestern University, Feb. 17, 2016. Zabelina’s presentation will examine the neural aspects of creativity. Her research focuses on ways of enhancing and fostering the development of creative thinking and problem-solving ability. • John Iverson, associate project scientist at University of California-San Diego’s Institute for Neural Computation. February 2016. A cognitive neuroscientist, Iverson will discuss his research on rhythm perception and production in music and language, work that spans behavioral and neuroscience approaches. 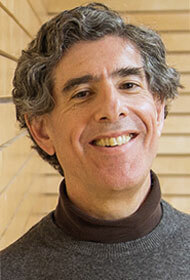 He is currently overseeing a study of the effect of music training on children’s brain and cognitive development. • Walter Sinnott-Armstrong, Chauncey Stillman Professor of Practical Ethics in the department of philosophy and the Kenan Institute for Ethics at Duke University. April 12, 2016. The author of five books and more than 100 published articles, Sinnott-Armstrong is a scholar of moral psychology and brain science, which his presentation will focus on, as well as uses of neuroscience in the legal system.